Yesterday I drove up to Saskatoon for the PotashCorp Fringe Theatre Festival. 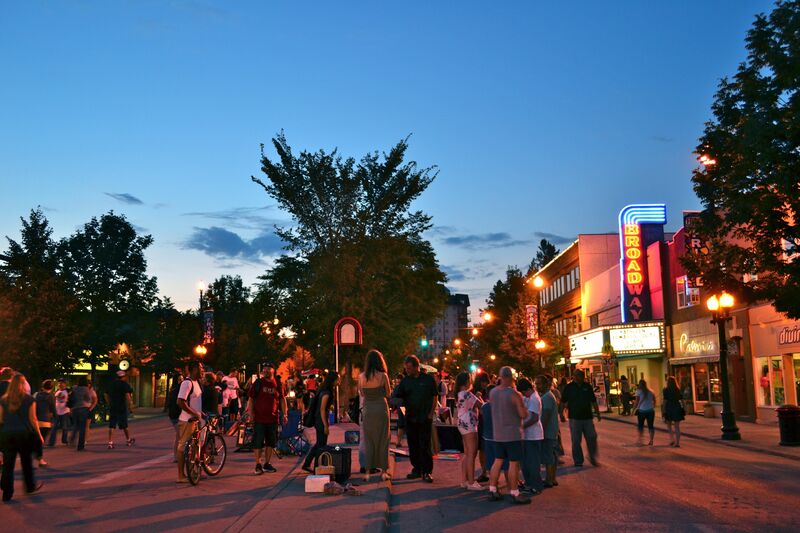 Every evening from August 2-11, Broadway Street closes to traffic and comes alive with everything else! 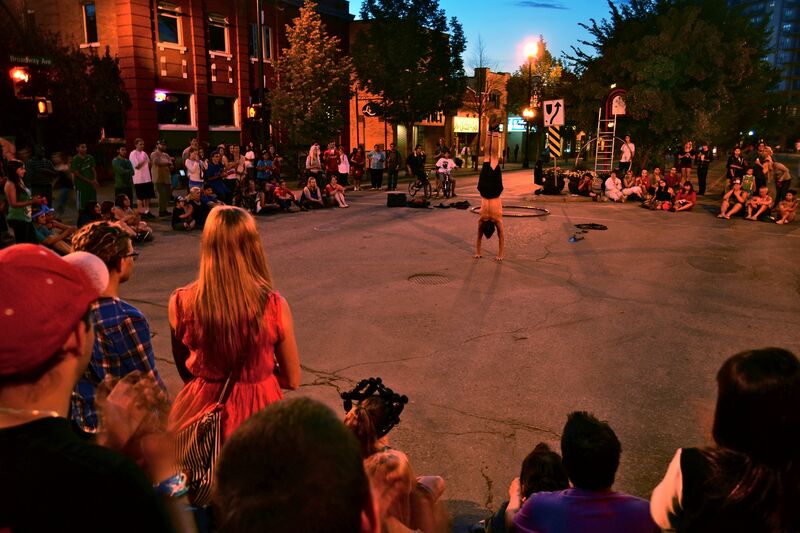 The Fringe incorporates a mix of theatre, street entertainment, buskers, musicians, magicians, artists, food, and more. This year, over 200 shows are being played in many venues all over Broadway, comedies, dramas, you name it. My experience started like many others - with food! 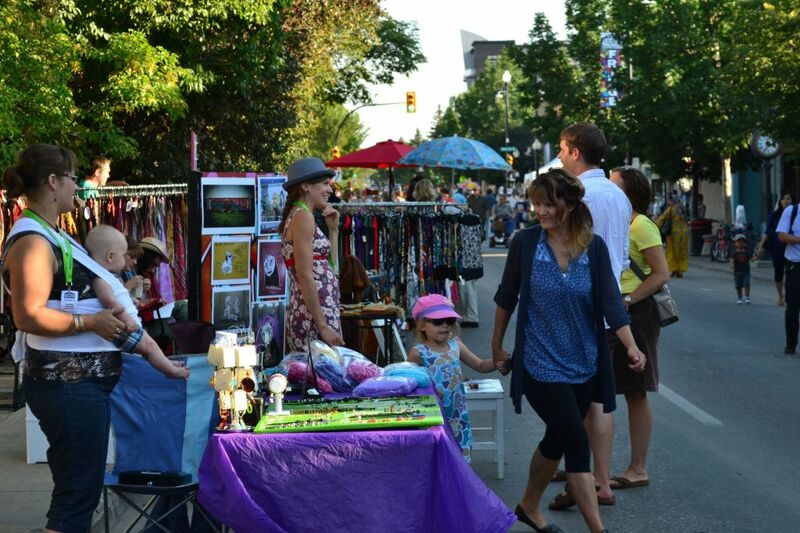 Talk about choices... well there are over 100 different vendors to choose from at the Fringe. 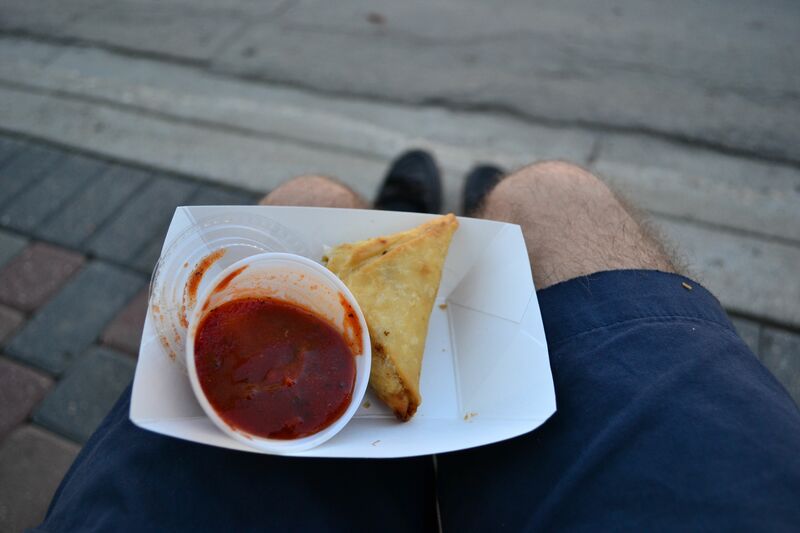 I decided on a recommendation from a follower on Facebook, the African Samosas with Hammer Sauce - tasty! 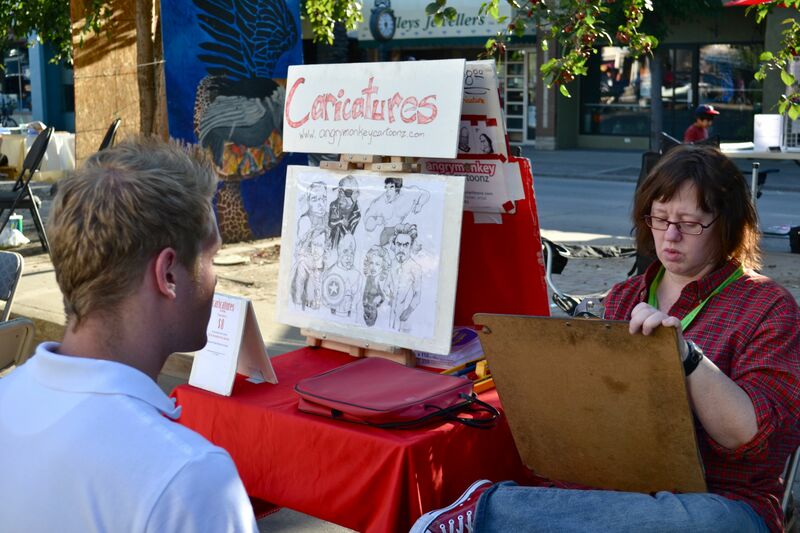 I walked and munched on my food, passing a child playing a violin, painters, a caricaturist drawing someone's face, a lady selling her snakes, people selling different crafts and original art, and of course, a few street performers too! 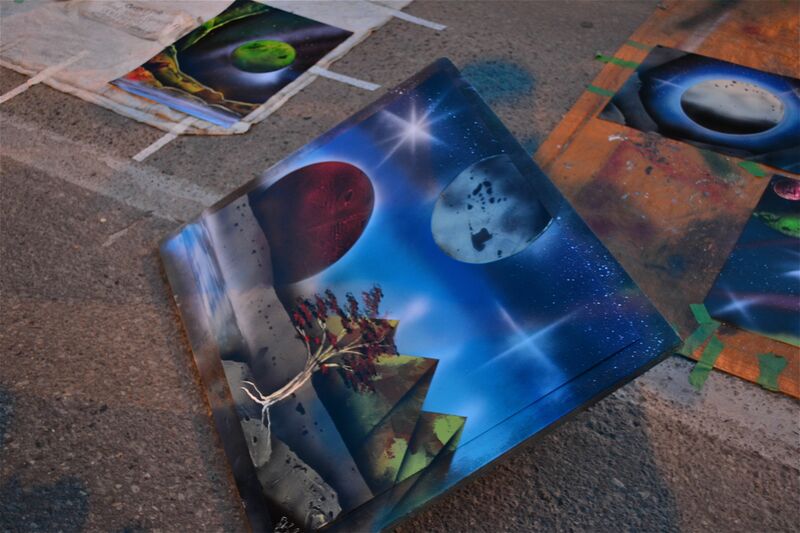 Perhaps one of the most interesting displays of the entire night was a stand where two men were painting very unique landscapes with moons and pyramids, all using spray paint. I had to watch it just to believe it, as it was pretty crazy to see. All in all, the Fringe has a pretty special atmosphere, one I won't forget any time soon! I wanted to catch a theatre event too, but instead of one of the many shows at the Fringe, I hurried over to Shakespeare on the Saskatchewan to take in "Hamlet". One of the two shows run this summer, it was a fresh take on the classic story, kind of old mixed with new. The acting was fantastic, and while I must admit I didn't follow the story line completely (I should have paid more attention in English class, maybe? ), it didn't fail to impress. 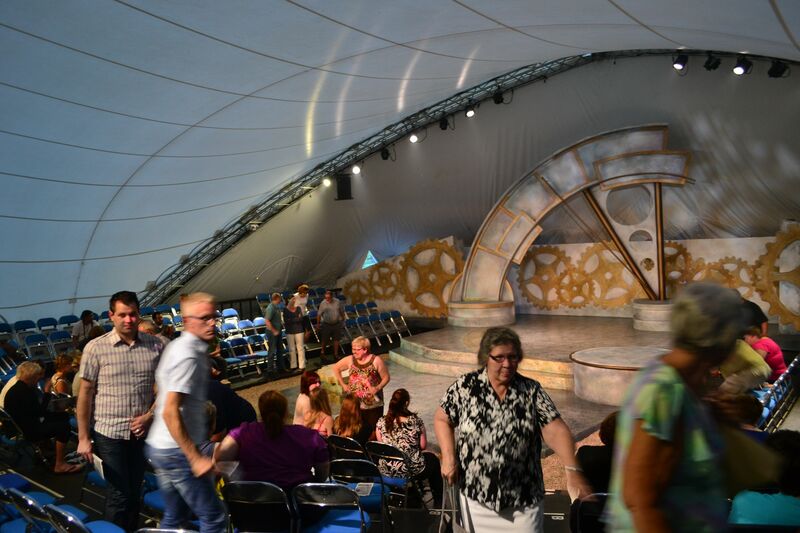 Shakespeare on the Saskatchewan is located right by the Mendel Art Gallery on Spadina Crescent, right downtown, and if you want to catch a performance, make sure to do so before August 26th when the season closes this year! As I drove home from Saskatoon, I began to realize that my summer is soon coming to an end. Next week I'll be heading to Regina to check out the Government House and to recap my summer with a final video encompassing all of my travels this year (it's going to be good)! That being said, I'm so thankful to both CAA Saskatchewan and Bennett Dunlop Ford for being wonderful sponsors of the Saskatchewanderer, and for all of you who follow along with me, too… you make it all worth it!